Of all the home remodeling projects that you could undertake, painting may be your best option yet. Painting your home can transform the flow, size, and aesthetic of your home. Get started on your painting project by learning why painting is the best way to update your home on a budget! Whether you’re painting the inside of your house or looking to refresh the exterior, painting projects are simple and easy. Our Intelligent Design painting experts have the equipment and skill necessary to complete a painting job in no time at all. You pick out the type of paint you want us to use and we will apply it to the walls. When the job is done you’ll love how beautiful your home looks. If you’re looking for ways to improve your home’s market value, then painting is the way to go. 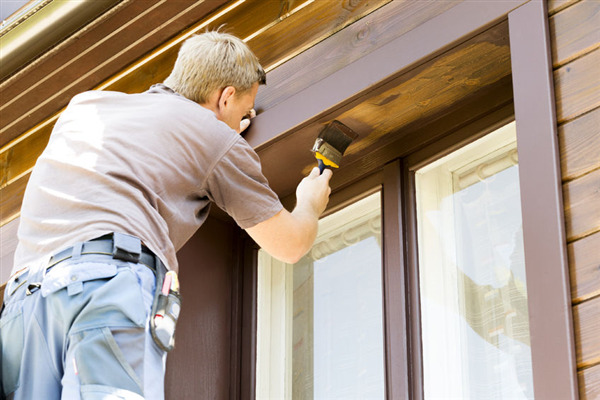 Our painting service is a cost-effective solution for sprucing up your home. You’ll also find repainting will increases the market value of your property. If you’re looking to sell your home, then painting it will instantly attract homebuyers. We provide affordable rates that stay within your budget. A painting project gives you the opportunity to get creative. Whether you’re into traditional solid colors and neutral tones or want to go for something bolder like multi-colored layers or textured paint, the sky's the limit with Intelligent Design. We can sit down with you to go over the concept that you have in your head. We can show you all the possibilities available to you and help you fine-tune the overall design. Since painting your home is a significant investment, then we recommend that you don’t go cheap. Rather, invest in quality paint products that will last. This is especially if you are painting the outside of your home. The outside elements such as sunlight, heat/cold, and moisture, will beat down upon the exterior paint daily. You need a reputable, solid paint product that will hold up through every season in Minnesota. If you are ready to revitalize your home with a professional paint job, then contact Intelligent Design Corp. Our contractors trained and experience with all types of interior and exterior paint jobs small and large. We paint homes across Minneapolis and St. Paul, Minnesota every day. Call us today at 763-315-0745 and let us help you get started on your paint project.